The Sunshine State is the ideal location year-round for underwater exploration. It’s no secret that Florida is surrounded by the vast bodies of both the Gulf of Mexico and the Atlantic Ocean; however, the state is also home to some hidden locations for those who seek more intimate, authentic aquatic experience. Dive into the caves, springs and secret bodies of water listed in this three-day guide. Gilchrist County is home to one of the most highly rated diving destinations in all of Florida, Ginnie Springs. The site covers more than 200 acres, containing a vast underwater cavern pined over by expert divers all over the world. Ginnie Springs hosts numerous events both for serious divers and for those looking to leisurely float down its clear blue water. Designed for both families and independent travelers, Hart Springs Park is also an amazing location for divers and aquatic explorers. This park is perfect for swimming, free diving and other recreational activities. It also features a spring accessible for certified cave divers. Equipment is available for rent at one of the Park’s outposts, and guided spring tours through the depths of the spring’s massive cave are offered as well. 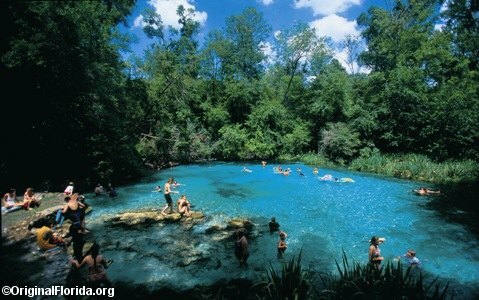 Nestled among the forested plains of Columbia County is Ichetucknee Springs State Park. 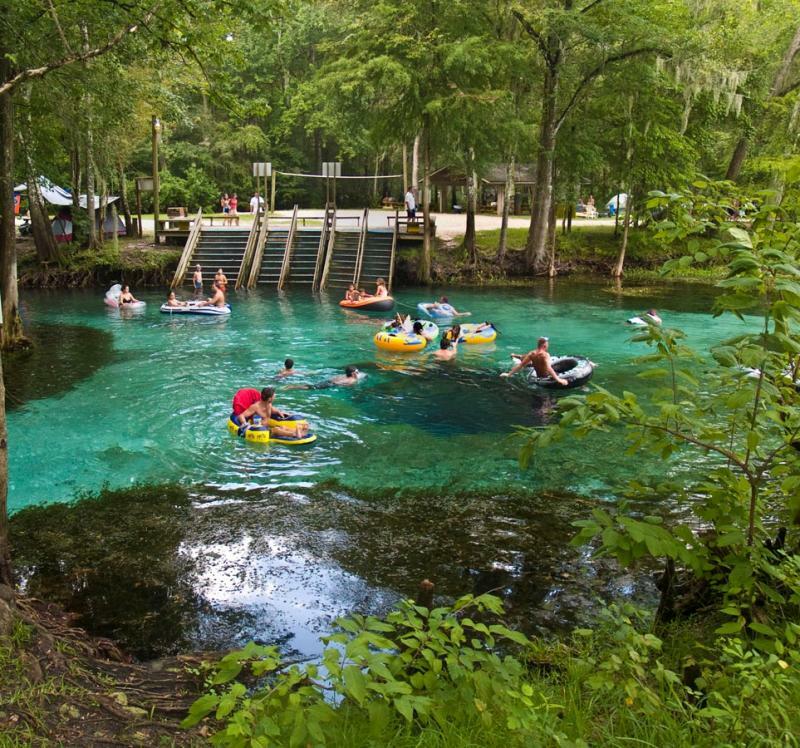 The Park is home to the seven-mile long Ichetucknee Springs River, which is perfect for canoeing and kayaking, and beautiful springs. Visitors can swim, snorkel or scuba dive under the spring’s refreshing water. Tube rentals are also available for those who want to cruise down the river. For certified scuba divers, stop by Dive Rite and pick up some of the most cutting-edge equipment in diving. It is the perfect place to prepare for a day of underwater adventure and learn about diving safely and in style. Dive Rite and its staff offer their expertise on all of the best equipment and spots to dive into. Ichetucknee offers a campground for visitors to spend an evening among its natural terrain. The area is also closely located to various hotels, such as the Travelodge Lake City, for those who prefer an indoor stay. The hotel offers complimentary breakfast and internet access for all of guests. Explore the depths of the well-known Green Sink Cave System at the Lafayette Blue Springs State Park. For certified divers only, discover several passageways in this spring’s vast 12,000-foot underwater system. For those not yet certified, Lafayette Blue Springs State Park offers everything from swimming and scuba diving gear to boating and birding. It is Lafayette’s most visited location, and accommodates every kind of adventurer seeker. Located on the outskirts of Lafayette County is another very notable diving location in Wes Skiles Peacock Springs State Park. Named after renowned explorer and diver Wes Skiles, this location is frequented by aquatic divers from all over the world. The location boasts two major springs and six sinkholes, all of which are perfect for diving. Although cavern venturing is only available for certified scuba divers, the surrounding area also boasts an award winning nature trail, perfect for strolling down after a day spent splashing around. After a day of exhilarating activities, treat yourself to an outstanding meal at Meme’s Diner. It is the ideal location for those with an appetite, featuring a large eclectic menu everyone will enjoy.